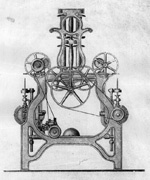 E. Jenckes Manufacturing Co. Illustrated Price List: E. Jenckes Mfg. Co., Sole Manufacturers of Hicks' U. S. Standard Ring Travelers, Manufacturers' Supplies of Every Description. 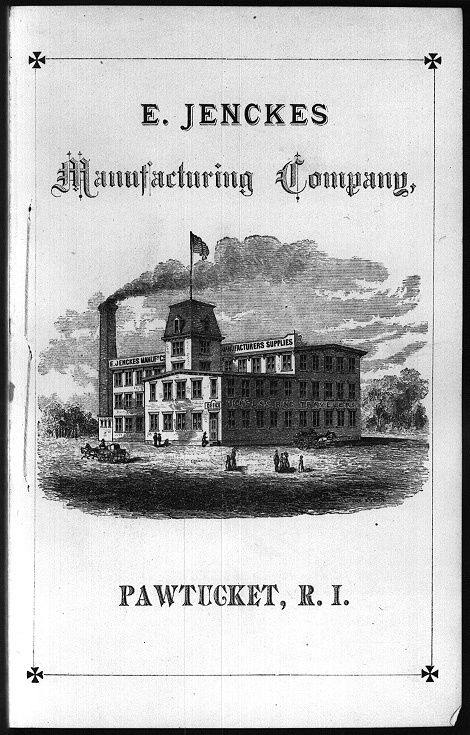 Pawtucket, R.I.: E. Jenckes Mfg. Co., . Trade catalog. 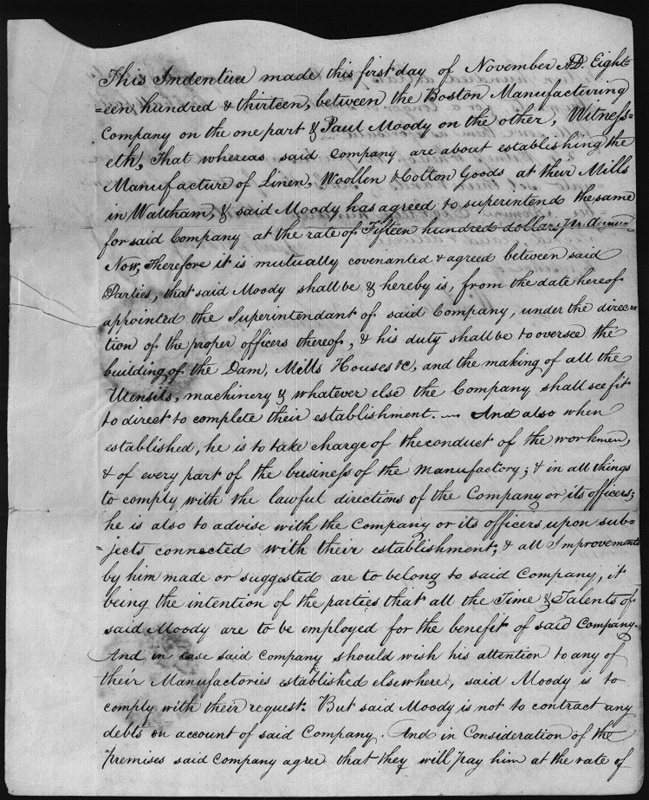 Employment contract dated November 1, 1813, making Paul Moody the first superintendent of the Boston Manufacturing Company, which would later become the Lowell Machine Shop. 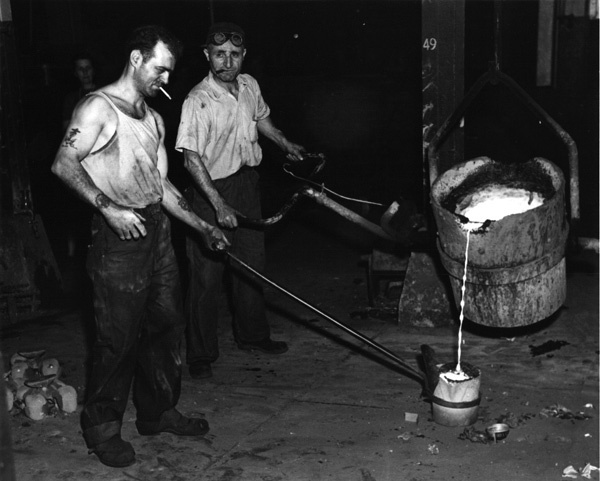 Employees of Whitin Machine Works in Whitinsville, MA pouring molten iron for machine manufacture. Photograph, ca. 1943. Daniel W Snell. The Manager's Assistant….Hartford, Conn.: Chase, Tiffany & Co., 1850. 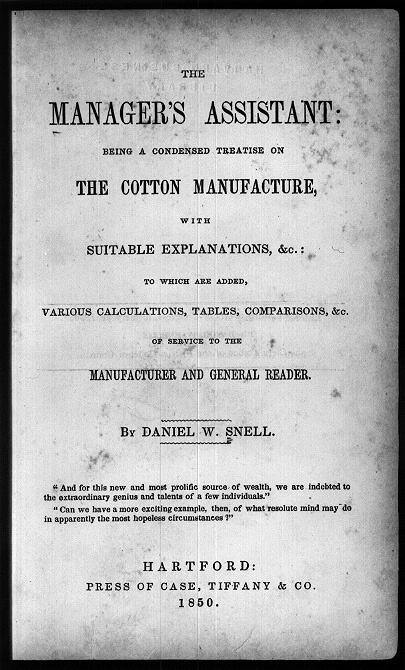 A practical treatise providing a description and technical introduction to the various types of machinery used in cotton manufacture.